Product prices and availability are accurate as of 2019-04-15 11:32:40 UTC and are subject to change. Any price and availability information displayed on http://www.amazon.com/ at the time of purchase will apply to the purchase of this product. Go Power! 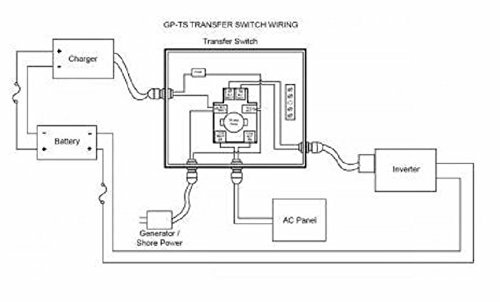 30 Amp Transfer Switch is used to hardwire inverters into a system where there is an alternative source of AC. 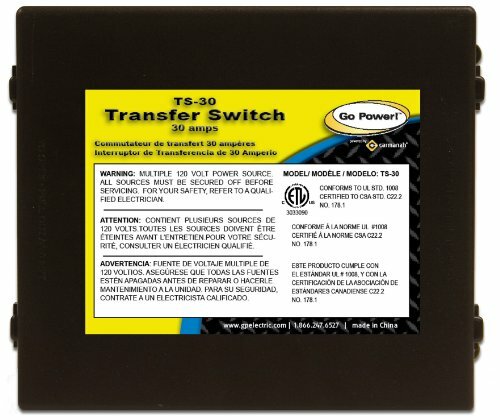 This transfer switch is made to only allow one source of AC power to pass through it to the loads and can handle 30 Amps of service. 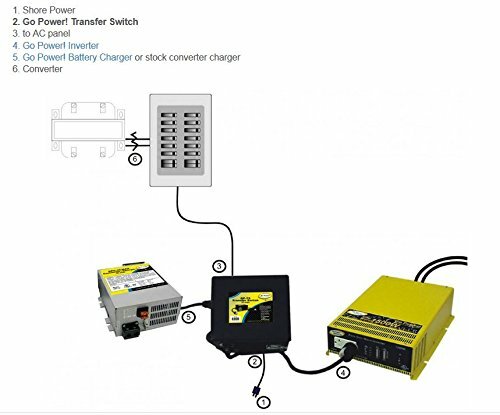 This ensures that the inverter will not be damaged if the generator or utility power is hooked up while the inverter is running as well as well as contains all instructions.